Alright stans, listen up. 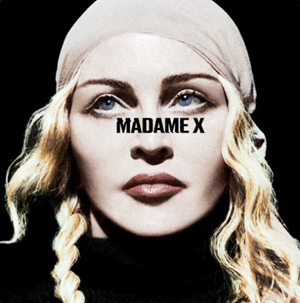 Madonna, after three years of musical silence (excluding a jingle about condomsand a collab with Quavo and Cardi B) following 2015’s Rebel Heart, has announced her new album: Madame X. It’s already clear that it’s going to be a massive spectacle and a new transformation. Fans have been guessing an album announce was on the way since early April, when Madge started filling up her grid with a giant red X. A week ago, she started posting puzzle pieces tiles of a document listing the many sides of the mysterious “Madame X.” In a video trailer, Madonna confirms that Madame X is the title and leading lady of the fourteenth record of her career. ‘Madame X’ is a concept project. The album takes place in the world of the eponymous Madame X. 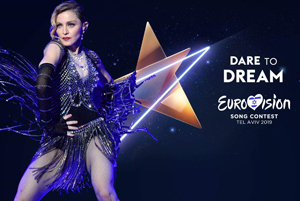 In the trailer, Madonna introduces us to this world, which is dark and shadowy, taking unsubtle cues from spy film (James Bond, most obviously) and noir cinema. 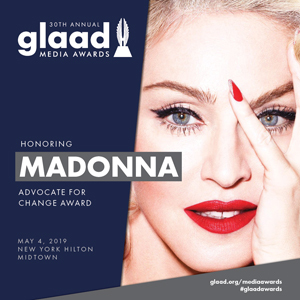 She dramatically stubs a cigarette out in a martini glass, punches away at a typewriter in leather gloves and transforms into 10 different looks (including sunglasses and a trench, a bonnet, an eye patch and a cowboy hat — Madonna’s next yeehaw moment, imminent?). The only dialogue in the clip is, “I decided to call my record Madame X,” which she tells a table full of men. The clip was created by video artist Nuno Zico and photographer Steven Klein, who it seems likely she’s working with on the full body of album imagery. In a global collab fitting for an international global spy, Madonna is teaming up with the Colombian reggaeton star. Their collab is called “Medellin” (like the city) and it’s out on Wednesday. Both artists shared the luxuriant single art on Instagram. “This seems incredible, I still can not believe it, but it IS a REALITY !! On April 17 we release our song called #MEDELLIN,” Maluma shared.